In a world where Facebook has become so ubiquitous that even hating on Facebook has in and of itself become a tired cultural phenomena, talking about Facebook at all anymore is sort of like lamenting the quality of food at McDonalds - it's there whether you like it or not, so it's probably best to just not say anything at all. Still, Facebook, like McDonalds, is a part of the daily lives of a great many tens of millions of people (McDonalds claims nearly 70 million), and has seemingly become a requisite cog in the increasingly connected machine that is human existence. Which is sad. But worry not, dear friends, because Facebook's success, and your part in it, means you can bask in their overwhelming... download numbers on the Play Store. Because of the company's recent decision to decouple Messenger functionality from the main Facebook app (which has many people, including my mom, greatly annoyed), the dedicated Messenger app's download numbers have skyrocketed in the last month. 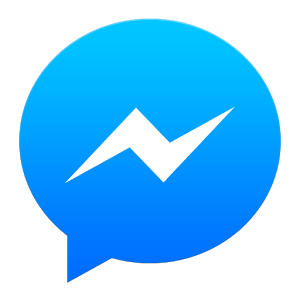 In fact, Facebook Messenger is now one of the three apps on the Play Store not created by Google to reach 500 million downloads. Oh, and the other two are also Facebook properties. You're probably thinking "what other Facebook app is that popular?" Well, don't forget that everyone's favorite texting platform WhatsApp was snapped up by the big blue social monster back in February for $19 billion. So WhatsApp's 500 million-plus downloads are now Facebook's. Yay corporate homogeneity. This concludes your moderately depressing news tidbit. Thanks, Jonas (for making us all a little sad inside)!